Another hockey season is in the books, folks. And what a season it was. 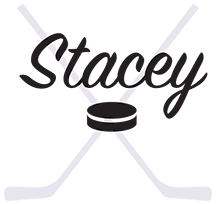 I’m still processing things when it comes to hockey, but as I shift gears into “off season” mode, there’s some things that I implemented during the last few months that I want to keep doing. Meal Plan Monday came about in the thick of one of our tournaments. I was talking to some of my hockey mom friends and we had just learned that the kids would be playing a game at 2 with another possibly set for 5. Of course the topic of dinner came up and we were all discussing how hard it was to work dinner around the hockey schedule, even outside of a tournament. This is not a new problem as my fellow sports parents know. Sure, practice might be at 6, but you have to be at the rink (or field or whatever sports area you frequent) a half hour before so the kids can get dressed, or warm up. That means you have to be at the rink for 5:30. And when you get home at 4:20 and the kids get off the bus at 4:30, then you factor in time to load up and travel to the rink…..well you get the idea. The practice start time is rarely the actual start time. And weekday practices throw whatever routine you may have previously had out the window. For the last two years, our grocery store has offered an online shop option, where you put in your order and schedule a time to go pick it up at the store. During this tournament discussion one of our moms mentioned that she started putting the order in every week for Friday night pick up. Light bulbs, people. Previously, I had only used the service when I couldn’t get to the store myself. What if I made the online order part of the routine rather than an stupid-busy-week option? What might seem to be obvious to some isn’t always to those of us who get stuck inside the routine box. I test ran this for the next three months and other than a couple of necessary Costco runs, this method kept us fed and organized for those three months. It also forced me to plan ahead, because it’s really hard to just throw stuff in a virtual cart. At least for me. So Meal Plan Monday was born. And it’s a beautiful thing. Tuesday- Grilled cheese and fruit. Wednesday- Fend for yourself night. Wednesdays in our house are pretty quiet. If the boys are home, we do something easy like Kraft Dinner or pogos. If they are at their grandparents I tend to just snack on whatever sounds appealing. In terms of what to expect, with hockey over, I can make dinner a bit more of a “thing”. I assure you, come the fall, the meal plans will not look like this. And no, the menu isn’t fancy but it’s far better than it used to be in terms of balance and variety. This week there are no restaurant meals. That also changes from week to week depending on schedule and energy levels.